Professional Slate. HP launches its Pro Slate 8 tablet for business customers. It has a high-resolution screen and security features alongside a stylus. But is it worth the demanded 600 Euros (~$668)? Tablets are now also becoming more and more popular among business people - after all they are easier to stow in a briefcase than a laptop is. The popularity has been increasing ever since the slates featured more functions, e.g. printer support, convert handwritten notes in text. 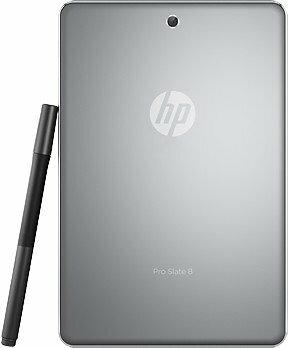 HP launches a business tablet that is currently sold between 500 and 600 Euros (~$556 and ~$668, including value added tax) dubbed Pro Slate 8. Our review sample is a Wi-Fi-only model with 16 GB of storage. 100 Euros (~$111) more is demanded for 32 GB of storage and WWAN support. There are still comparatively few tablets exclusively made for business users on the market. However, high-quality tablets such as the Google Nexus 9, Sony Xperia Z3 Tablet Compact and Apple iPad Mini 3, are well-suited for business people. 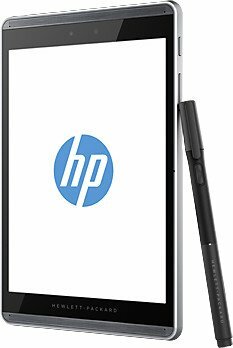 All have a considerably lower price tag than HP's Pro Slate 8. 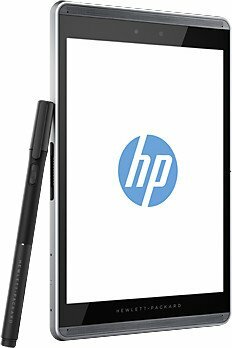 The casing makes the business tablet: HP's Pro Slate 8 is plain yet elegant in its matte-silver metal casing with perforated speaker grilles above and below the 4:3 display. The rear is also unobtrusive matte-gray. It has a pleasant feel and is slip-proof. Four small Torx screws are also found here. According to HP's recycling instructions, savvy users can even replace the battery. However, that should be well-considered to avoid damaging the device. The casing's stiffness is rather middling. Pressure and twisting instantaneously becomes visible on the screen. The tablet's weight of 350 grams is a bit higher than that of the iPad Mini 3, but it is pleasant to hold and not too heavy. Buyers looking for a much lighter device should take Sony's Xperia Z3 Tablet Compact. The configuration of 16 GB storage capacity and 2 GB working memory is not outstanding, but there is at least a micro-SD slot for expanding the storage. Google's Nexus 9 and the iPad Mini 3 could follow that example. HP's Pro Slate 8 features Miracast for wireless image transmission to corresponding monitors, and NFC. The device also has a docking port but the matching docking station is very expensive at 278 Euros (~$309). HP promises security features, which will likely be one of the key reasons for business customers to prefer HP's Pro Slate 8 over other tablets. ARM Trust Zone is actually a standard technology that allows executing particularly sensitive processes in a dedicated zone protected by hardware and software. There is also a hardware-supported encryption module for the tablet's storage. It is additionally possible to set up 256-bit encrypted VPN networks. 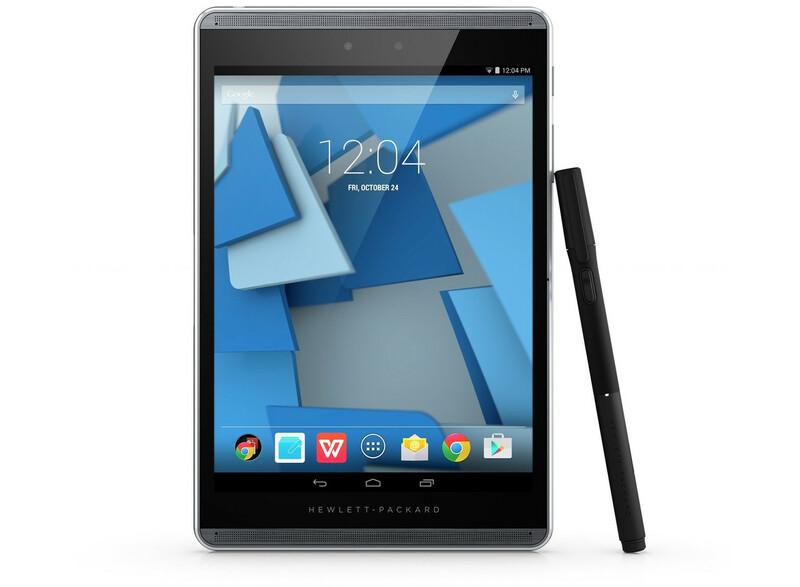 HP's Pro Slate 8 was initially shipped with Android 4.4. However, a software update to Android 5.02 is now available, which we also used for testing the system. HP uses the "Vanilla" version, i.e. Google's stock version, and it only preloads some additional programs. For example, there is an alternative media player from HP, an office suite, service software "Rescue" that enables technicians to provide help directly on the tablet via remote access, and "KeyVPN" for managing VPN networks. "Avast Mobile Security" is completely under the banner of security. The user can scan the Wi-Fi network for weak points, filter short messages or calls, lock applications or set up a Firewall. Some features, such as "Anti-Theft" or "Cleaner" have to be installed first, though. "Corel Painter" and "HP Notes" are applications that support HP's Duet Pen - a digitizer that is included. Fortunately, no senseless adware is preloaded. The Wi-Fi module actually supports all modern Wi-Fi standards, i.e. 802.11 a/b/g/n/ac. Thus, the 5 GHz band can be used, and it is possible to set up (at least theoretically with the matching router) extremely swift Wi-Fi networks of 1 GBit and more. The reception is also good. 4/5 of the signal was still displayed at a distance of ten meters from the router and through three walls. Pages opened there just as fast as beside the router. 3/5 was still available at another two meters and with another wall; pages opened a bit slower. The spec sheets disagree as to whether or not a GPS module for localization is in HP's Pro Slate 8, even on HP's websites. 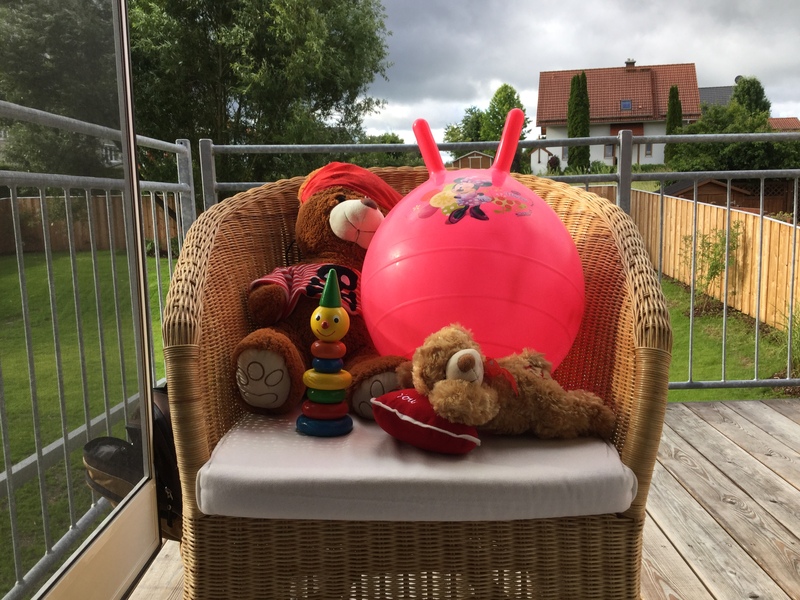 In any case, the signal was not strong enough even outdoors, and the position could only be determined coarsely using the surrounding Wi-Fi networks. Consequently, we sooner presume that a GPS module is not installed. The cameras' resolution is category standard. The 2-megapixel front-facing camera has a slightly higher resolution than in the comparison devices. 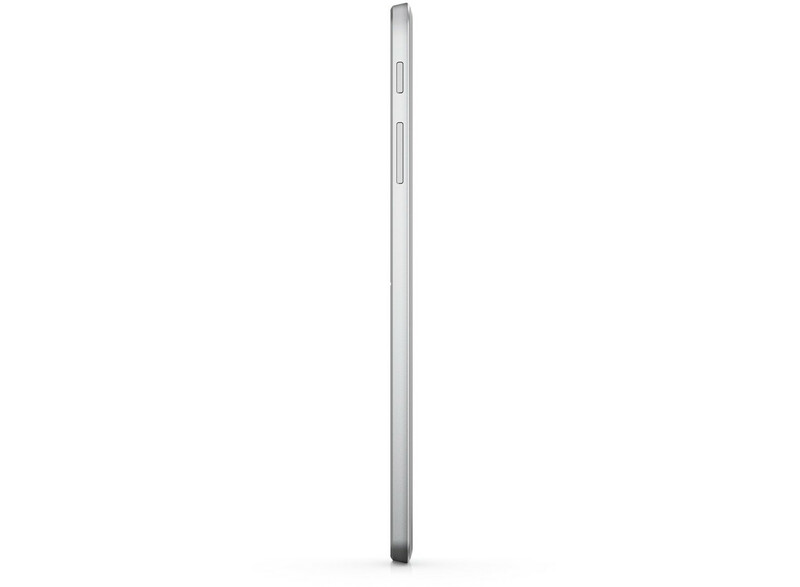 The iPad Mini 3 clearly lags behind with its lower resolution cameras. HP's Pro Slate 8 features an 8-megapixel camera with auto-focus on the rear. There is no flash, and only Google's Nexus 9 can offer that. The image quality is decent. However, the sharpness could be a bit higher. 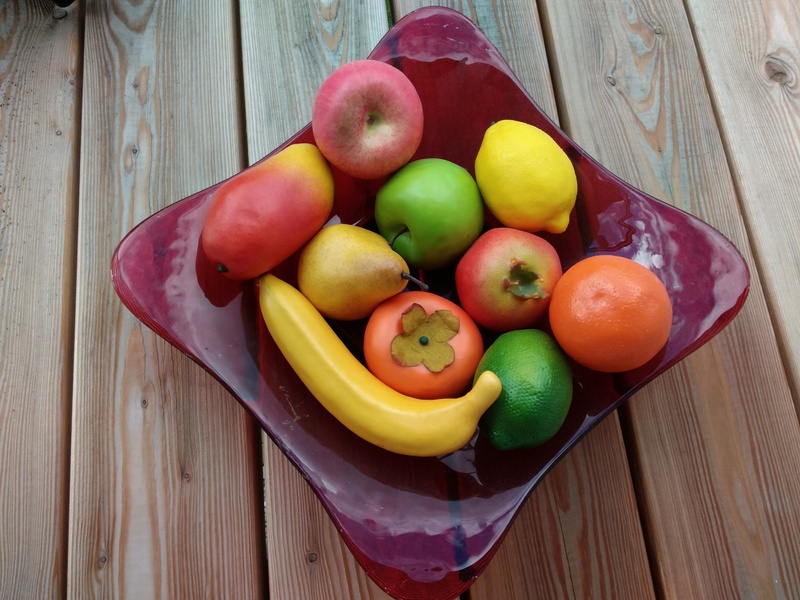 We like the color reproduction, which is quite natural. Videos can be recorded in Full HD quality at 30 frames per second. The recordings' image quality is also quite decent. 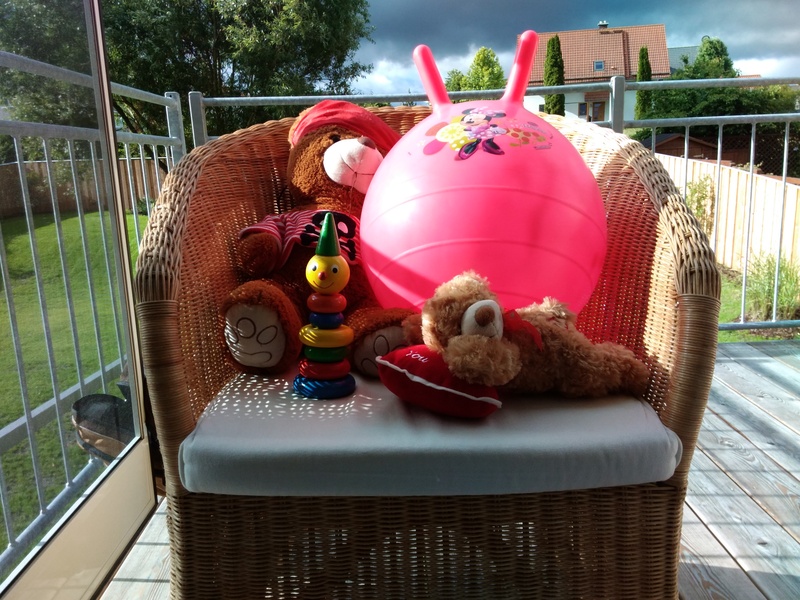 The 2-megapixel front-facing camera also delivers a relatively good color reproduction but slightly lower image sharpness. 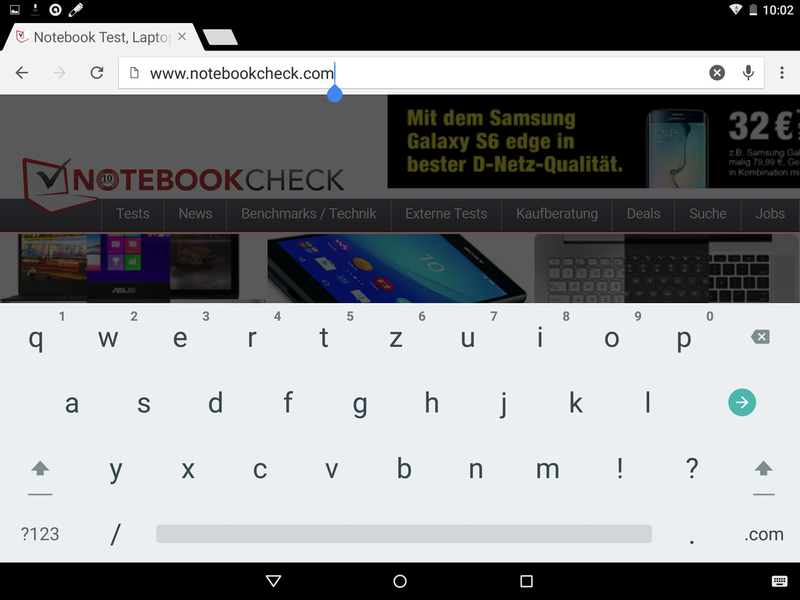 The virtual keyboard in HP's Pro Slate 8 is Google's stock model. That is not bad. After all, alternatives can be downloaded from the Play Store. 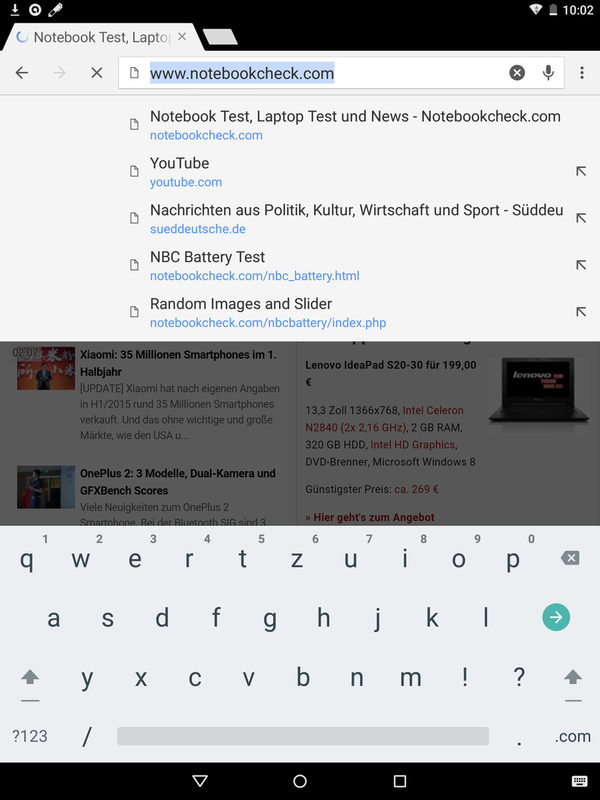 Besides that, the Android keyboard functions very well, is clearly arranged, and it offers some setting options. The touchscreen's surface has been roughened lightly and sometimes feels unpleasant to the fingers. However, the touchscreen is overall very accurate and can be used well up into its corners. 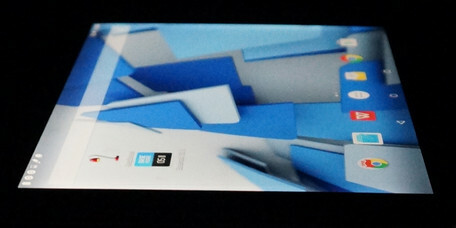 The box of HP's Pro Slate 8 also contains "HP Duet Pen," a digitizer that can be recharged with the tablet's charger. It has a cartridge that can be turned around so that it can be used as either a touch-pen or a pen. The pen can in fact be used well for sketching; the applied force is detected reliably and additional features can be triggered via the two buttons on the pen. The pen's true "killer" application is, however, the option of sketching or writing on a normal notepad and that is then immediately transmitted to the tablet. That functions right from the outset, which is impressive by itself. However, there are many restrictions, and we also missed a reasonable tutorial. For example, the tablet has to be on the right of the surface that is written on for the writing to be detected. How the pen is held is also important for sensor contact. Words were simply not identified because we held the pen in the wrong place in our test. Thus, it is a feature that is not yet fully developed, needs more explaining and is, unfortunately, too error-prone. The screen's high resolution of 2048x1536 pixels is also category standard. 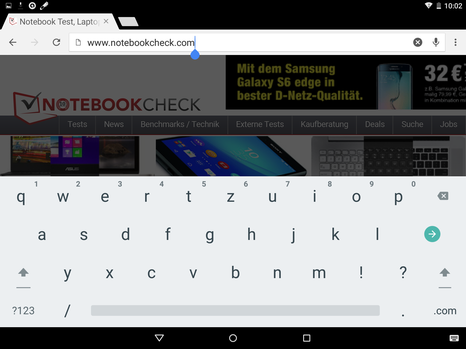 Sony's Xperia Z3 Tablet Compact lags behind slightly here. 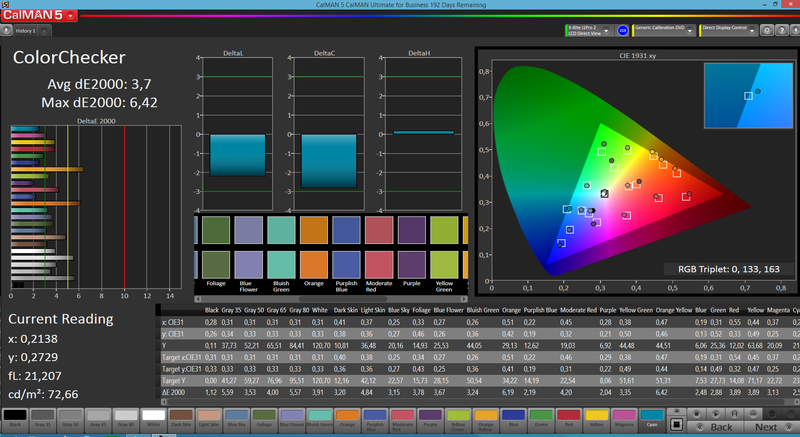 The brightness is sooner middling in the comparison: HP's Pro Slate 8 has an average brightness of 388.4 cd/m². That is enough for outdoor use, but other devices have brighter screens. 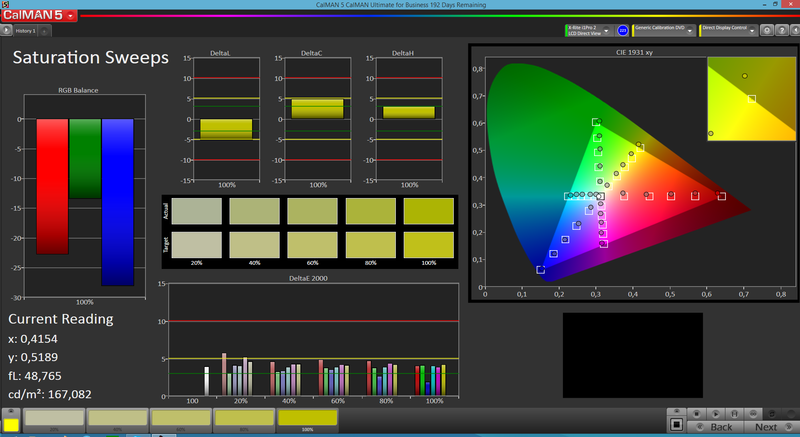 The screen is relatively homogeneous with 86%, and its illumination is quite even. 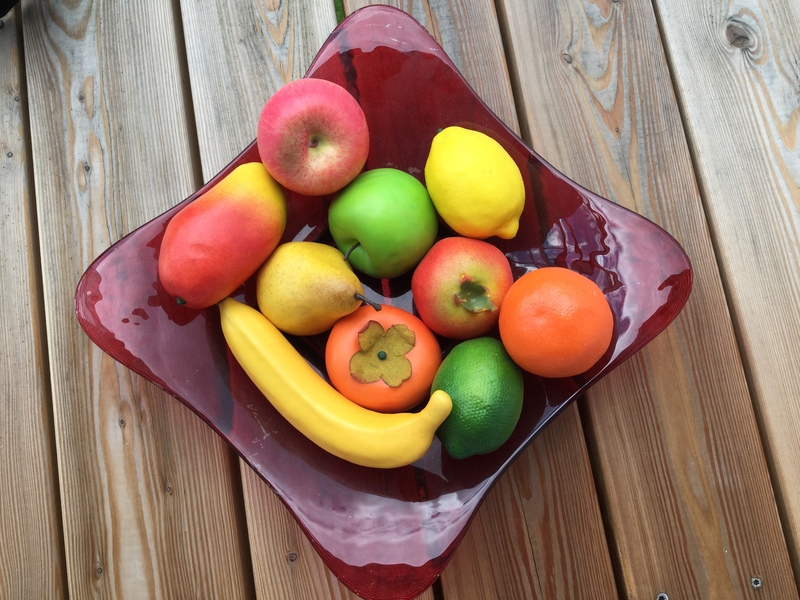 However, minor brightness differences are visible on large, colored surfaces. 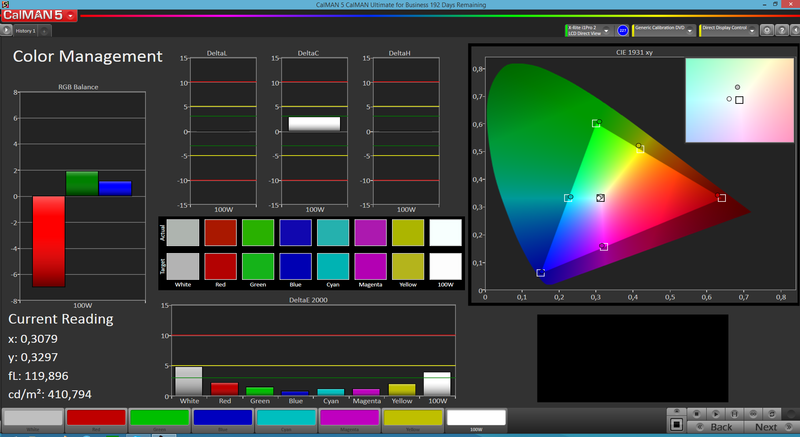 HP's Pro Slate 8 is on top in terms of contrast and black level. The black level of 0.41 cd/m² is comparatively low, and dark areas also look rich and black rather than having a grayish tint. 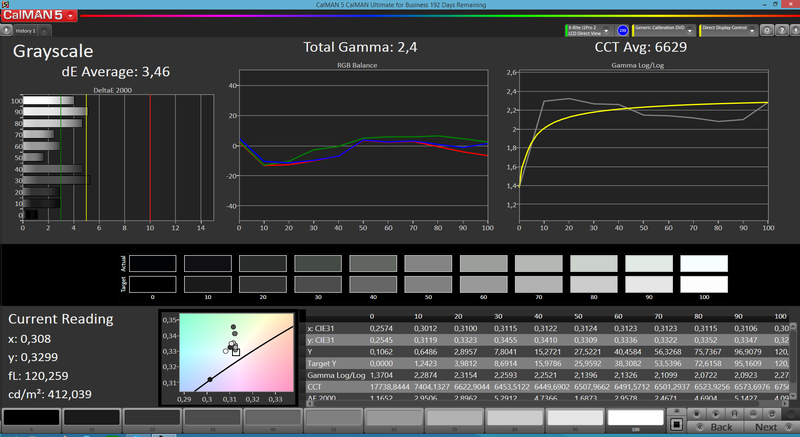 That results in a fairly high contrast of 1025:1, which lets colors look quite vivid on the screen. We did not ascertain a visible bluish tint in our measurements with CalMAN and the spectrophotometer, which is very good. Shifts are primarily visible in yellow colors, but the deviation from the rates of the sRGB reference color space is relatively low. The glare-type screen is a major problem in outdoor use. In particular, bright backgrounds cause issues with the screen's legibility. The viewing angles are good in all directions thanks to the IPS screen. The SoC in HP's Pro Slate 8 is called Qualcomm Snapdragon 800 MSM8974 and is already two years old. Our benchmarks, however, prove that its four cores, clocked at up to 2.3 GHz, still have enough power for apps and games. Although the results strongly vary, it can generally be said that the performance of HP's Pro Slate 8 is quite able to compete with the comparison devices. We did not experience any speed issues even in practical use. Internet browsing was also swift. 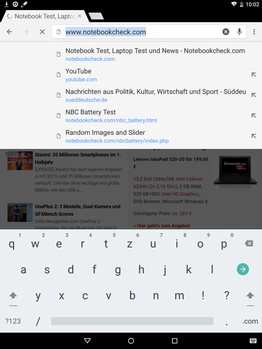 The internal storage has a decent speed, although Google's Nexus 9 has a clear lead here. An Adreno 330 clocked at 450 MHz is responsible for graphics performance. Again, Google's Nexus 9 has a clear lead with its Nvidia Tegra K1 Kepler GPU. The other comparison devices are on par with HP's Pro Slate 8. 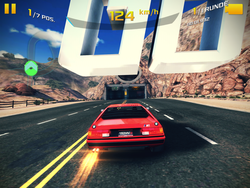 Stutters were sometimes seen during frantic situations in Asphalt 8. The graphics card can smoothly display high-requirement games like Asphalt 8: Airborne even in high details and the screen's fine resolution. At least most of the time; it sometimes stuttered in frantic situations, which especially will likely annoy demanding gamers. More basic games like Angry Birds Fight are rendered without issues. The absolute maximum temperature of HP's Pro Slate 8 is 35.4 °C at the lower front. The increase is limited to one region and particularly decreases toward the camera's area. The heat is barely perceptible even under full load in total. 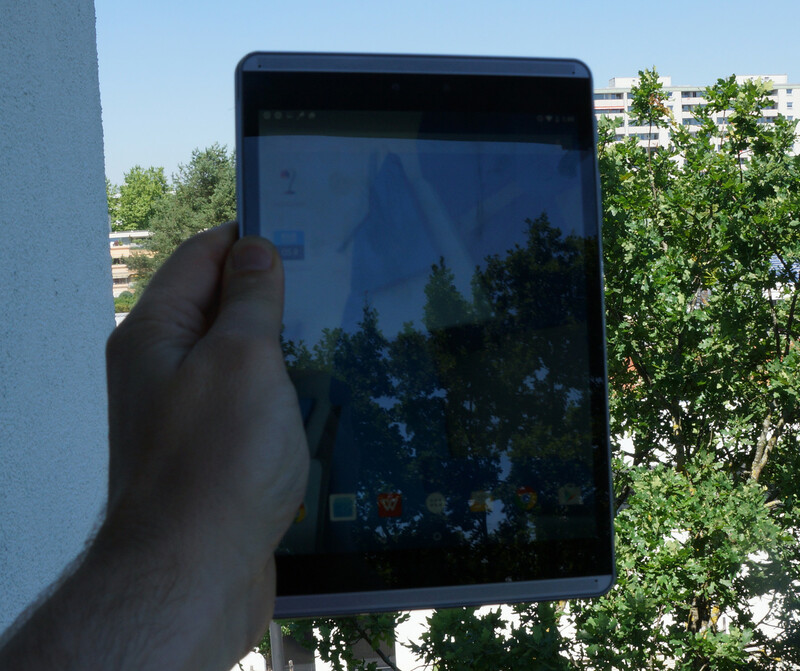 The tablet remains even cooler in idle mode with a maximum of 30 °C. (+) The average temperature for the upper side under maximal load is 31.5 °C / 89 F, compared to the average of 30.7 °C / 87 F for the devices in the class Tablet. 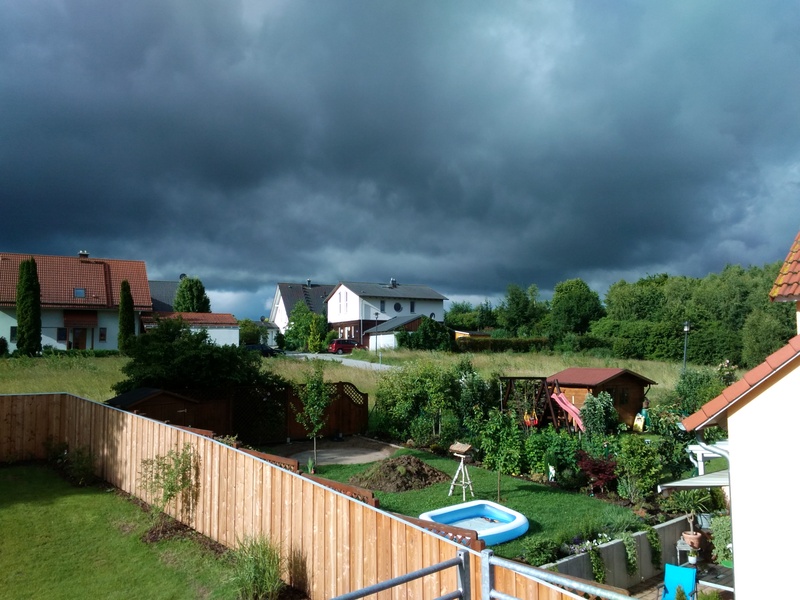 (+) The maximum temperature on the upper side is 35.4 °C / 96 F, compared to the average of 34.8 °C / 95 F, ranging from 22.2 to 51.8 °C for the class Tablet. (+) In idle usage, the average temperature for the upper side is 27.4 °C / 81 F, compared to the device average of 30.7 °C / 87 F.
Two front-facing speakers, DTS Sound+ support - that sounds like good preconditions for audio output. It is also basically balanced and does not boom even in maximum volume. However, the speakers are not particularly loud, and it becomes evident that they find their limits in very rich playback, such as choirs and orchestras. The 3.5 mm combo-audio jack produces an impeccable signal. The power consumption of HP's Pro Slate 8 is exemplary at first. No power is consumed when it is turned off, and the consumption is minute in standby. The tablet's maximum idle consumption of 3.2 watts is also considerably lower than Google's Nexus 9 or the iPad Mini 3. However, the consumption suddenly exceeds that of the competition only under full load. It can climb up to 10.2 watts here. 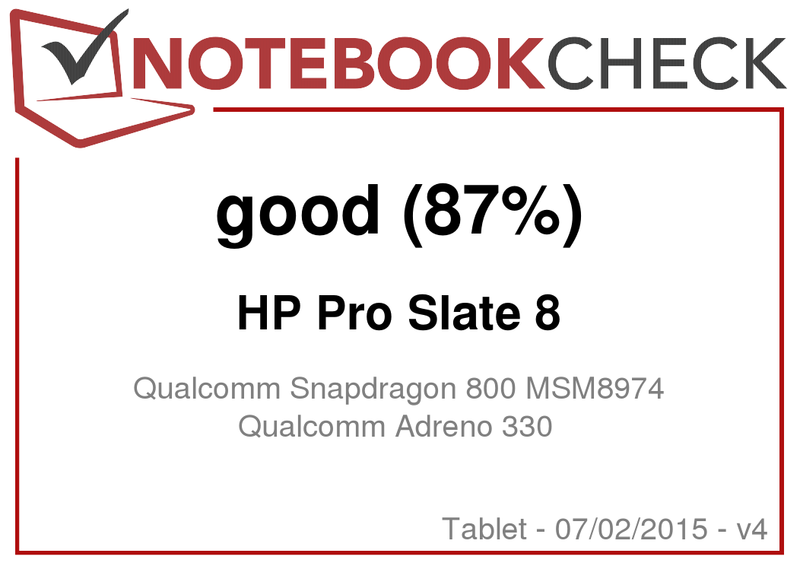 HP's Pro Slate 8 scores quite well in battery life. Although the battery's capacity of 21 watt hours is not exactly lush, the tablet still manages 10:13 hours in our renewed Wi-Fi test based on sophisticated web technologies. Playing demanding 3D games is possible for up to 3:57 hours. 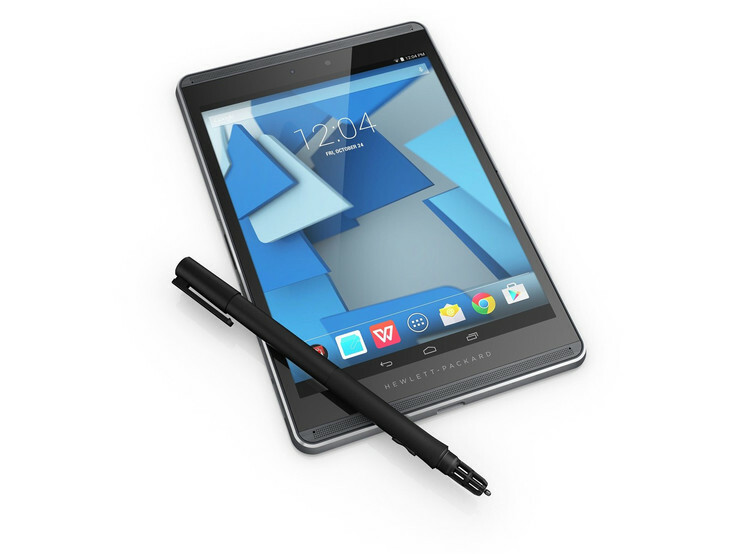 HP's Pro Slate 8 provides decent runtimes, but it cannot catch up to the long-lasting Sony Xperia Z3 Tablet Compact. 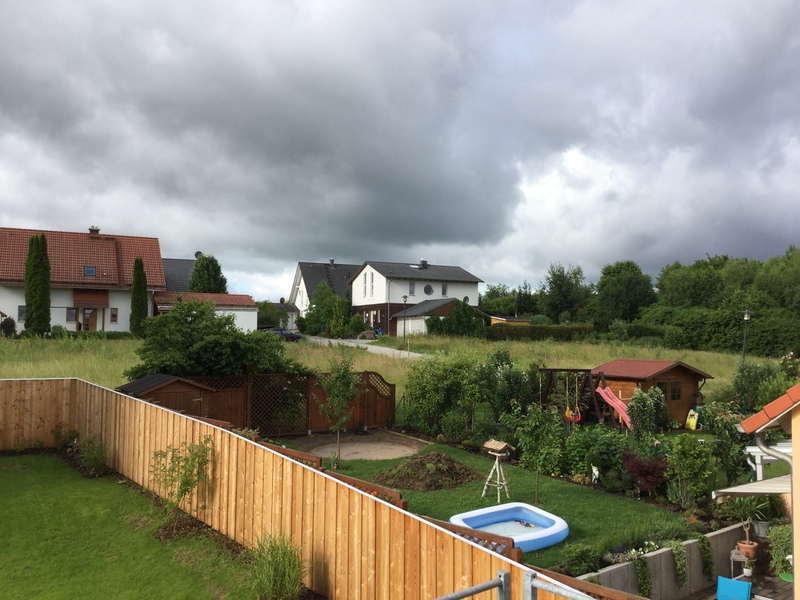 In review: HP Pro Slate 8. Review sample courtesy of HP Germany. 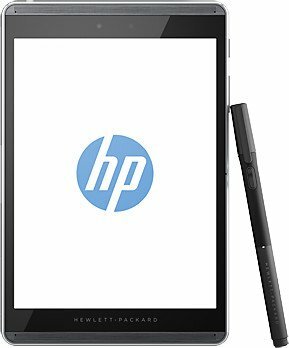 The Pro Slate 8 is a business tablet with an innovative digitizer and security features, for which, however, HP demands a steep price. Very good alternative tablets would be Sony's Xperia Z3 Tablet Compact or Apple's iPad Mini 3, sometimes for half the price. HP's Pro Slate 8 is actually only worthwhile for users who need security features or a docking port. However, the corresponding docking station is also quite expensive. Too bad that digitizing handwritten notes does not function more reliably and is not explained enough. It would have likely been an important criterion for some buyers otherwise. We deduct a point from the rating for that. Buyers who have the wherewithal will get a tablet with a good casing, decent performance, great screen and useful battery runtimes. HP's Pro Slate 8 does not make any severe mistakes. However, anyone who does not really need the business features can save a lot of money with the competition.